Save on Web Hosting with Coupon Codes! Welcome to the new Internet Hosting Report! Here we are going to have reviews, ratings and guides for all of the major website hosting companies. This can be a difficult business to navigate, so hopefully our handy guides to choosing web hosts will help you select the best one for your website. First Off: What is a Web Host? This may come as a surprise to some, but when I mention website hosting to people, their eyes will glaze over before I can even mention what it is. I want our site to be user-friendly no matter the experience level. Essentially, every website in the world is hosted somewhere. Even gigantic websites like Google and Facebook are hosted somewhere. Hosting companies will have thousands, and sometimes millions, of websites hosted with them on ‘servers’, which is just a fancy name for a computer. In fact, you could even host your website on your own computer (although I wouldn’t recommend it). Most hosting companies offer ‘shared hosting’, which means that your website is hosted on a server with thousands of other websites. The good side of this is that shared hosting plans are usually quite inexpensive. If you are just starting out, or have a small website, then a shared hosting plan makes the most sense. Even the shared hosting plans can be pricey. To help out the readers of Internet Hosting Report, we have found a website with the best ipage coupon we could find. Not hosting with iPage? No problem, just do a search for ‘your hosting companies name + promo code’. You should get tons of results, and lots of coupons to choose from. There are plenty of great hosts out there, you will certainly be able to find one that suits your needs. The downside of shared hosting is that, like living with a bunch of roommates, shared hosting can result in some frustrations. If another website on your server gets a lot of unexpected traffic, it can crash your website for an extended period of time. For most people, a shared hosting plan is enough for their needs. If you have a large website with lots of images/video, then a bigger hosting plan is probably more ideal. VPS Hosting is a relatively new type of hosting that attempts to bridge the large divide between shared hosting and full on dedicated hosting. VPS stands for ‘Virtual Private Server’ and is essentially a virtual server that you can customize to your specific website’s needs. The benefit of VPS is that you pay for what you need (and don’t pay for what you don’t need). VPS servers are also able to handle high traffic periods by giving you extra resources (Ex. if a post on your website goes viral. The downside of VPS is that you are essentially on a shared hosting network, and as a result your website can be affected by other websites on your network. And of course there are ways to save on VPS Hosting as well. We found a pretty good resource for myhosting.com coupon codes as well (myhosting.com is one of the most popular VPS Hosts). Dedicated and Managed Hosting are very similar so we’ll put them into the same category. 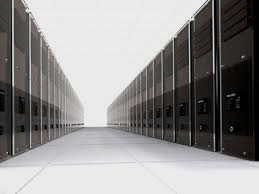 Dedicated hosting means you have one server entirely dedicated to your website. No one else is on there to cramp your style. All the memory, CPU, and bandwidth is entirely devoted to your website. You can choose how powerful your server is, what operating system to use (Linux or Windows), and when to do updates. It’s greatest strength is also its downside. What if you’re server crashes? If you have an unexpected traffic spike that overwhelms your server, it will crash. And you have to reboot it remotely. This is where managed hosting comes in. Managed Hosting is when you have an actual person responsible for your server. Frequently they give you their phone number so that you can call them whenever you have a question/problem. They will handle things like security updates/remote reboots/general maintenance. It’s hands off…but it’s also one of the most expensive types of hosting. Managed Hosting and Dedicated Hosting are ideal for large company websites. They are also ideal for personal websites if you experience large volumes of traffic (i.e. over 5,000 visitors per day).